We all seem to know how to celebrate Christmas in our own way and few have any problems in marking the start of the New Year but why do so many of us have problems in celebrating anything else? 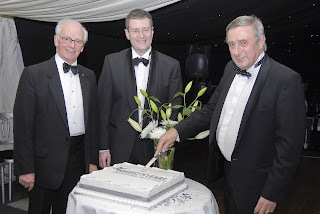 NWES celebrated its 25th Anniversary a year ago and we marked the occasion with a glittering Black Tie “Silver Ball”, set in a stately home, with 200 guests, fine wine, great food, a seventeen piece “Big Band”, a casino, entertainers galore and topped off by a speech from me! In planning this event I had many people questioning the cost, scale and the “message which it would convey”. I understand their argument but they failed to see the real point of the event which was to celebrate reaching a key milestone, thanking everyone who had contributed to our undoubted success and reminding everybody why we exist. In making it a memorable night for all concerned, ensuring that we invited past and present Board members, staff and supporters we now have 200 happy and enthusiastic ambassadors for NWES. Word spread about how enjoyable it was, how successful we are, what a great job we do and how we make a difference to so many people’s lives. It would have cost a fortune to buy that sort of publicity and goodwill – much more than the Ball cost! The point here is that it really is alright – indeed vital – to celebrate success whenever it occurs….a milestone, contract win, successful start etc. By doing so you remind all concerned the reason why you are in business and you set yourself apart from the plethora of curmudgeonly people who only seem to revel in doom, gloom, despair and dismay! At NWES we are proud of our company, what we do and why we do it. Make sure that you make the most of every opportunity to celebrate success big or small and see the difference which it makes to your business. The challenge to you is to celebrate something before January is over.